If you have a UPS (Uninterruptible Power Supply), it is likely that you are running NUT (Network UPS Tools) on a Linux host to monitor the UPS and shutdown the host when the UPS signals a low battery condition. 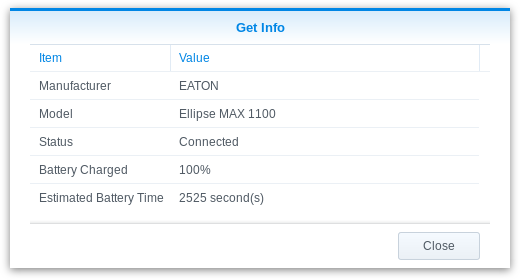 It is relatively easy to add a Synology NAS as a UPS monitoring slave. When you are running multiple Linux systems, you are probably running NUT on one system in master mode and on the other systems in slave mode. This makes the slave systems perform their shutdown first. For more information on NUT, you can always check networkupstools.org. Timelab A fantastic fab lab in Gent, this is where I do all of my 3D printing, laser cutting and stuff.